I will teach a class in my shop Sat. 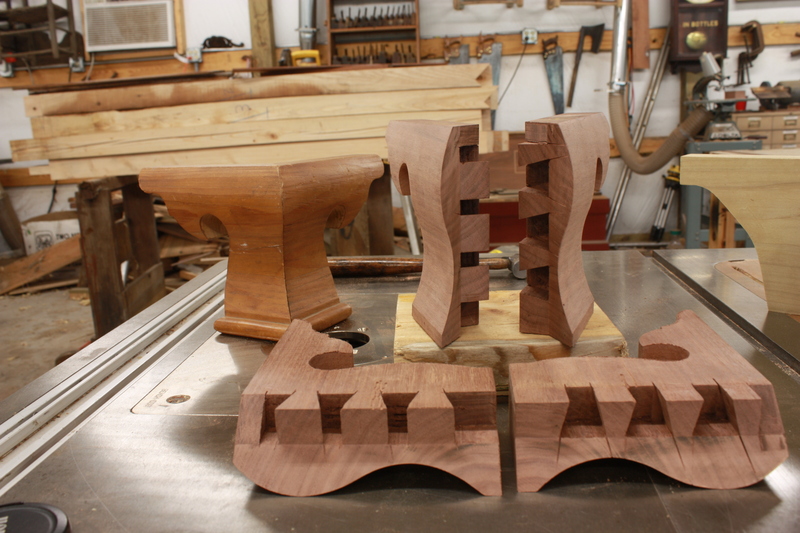 Nov. 5 starting at 9 am on how to make blind dovetail ogee bracket feet. The class size will be limited to 6. Prerequisite for the class is students must know how to hand dovetail. Tools students need to bring are a back saw , set of bench chisels, mallet, ear plugs, and safety glasses. Bring a lunch. I will provide drinks. The class will go into the afternoon. Everyone will make a blind dovetail ogee bracket foot to take with them. The fee for the class is $100.00 payable the morning of the class. To sign up for the class call 423-743-5643 or email buddy@furniturewithhistory.com . If you need directions contact me.